Christmas is indeed in the air. Most of our local radio stations played Christmas jingles. Some residents in our community have already decorated their home with Christmas lanterns. And as expected, Christmas presents should not be absent during Christmas celebration. I wonder what will I receive this year. Last year, somebody gave me a perfume and I just love it. as for me, I didn't get to do some Christmas shopping because I have a baby and at the same time I was pregnant too during that time and I was too lazy to beat the Christmas rush. It never occurred to me then that I could do shopping online. For me, online shopping is good especially for busy Moms like me. At least with just few clicks, you'll get your order without going through the long queue. Just do it ahead of time, considering the delivery period. With online Christmas shopping or even on other occasions you can really choose what you want in accordance with what you can afford. You can also get to have a unique Christmas presents just like dog gift baskets. Isn't it unique? Who would have thought that pets can have their share of gift baskets too? I am pretty sure, pet lovers out there will be delighted upon knowing this. 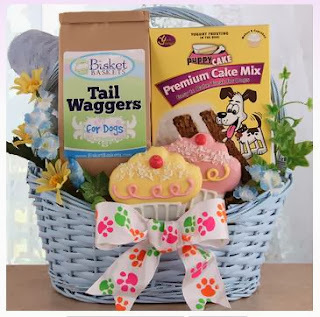 If you are wondering where you can have this dog gift basket, just visit www.bisketbaskets.com. They specialized in hand-created gift baskets in variety of categories including gourmet Christmas gift baskets, new baby gift baskets, and of course like what I have mentioned, they also sell pet gift baskets. BisketBaskets company has been operating for more than thirteen years so you can have a guarantee that they sell nothing but the best. For now they offer a limited free GROUND shipping for orders above $125. You can avail their products by paying through credit cards or PayPal. By the way, all their gift baskets comes with a beautiful presentations.